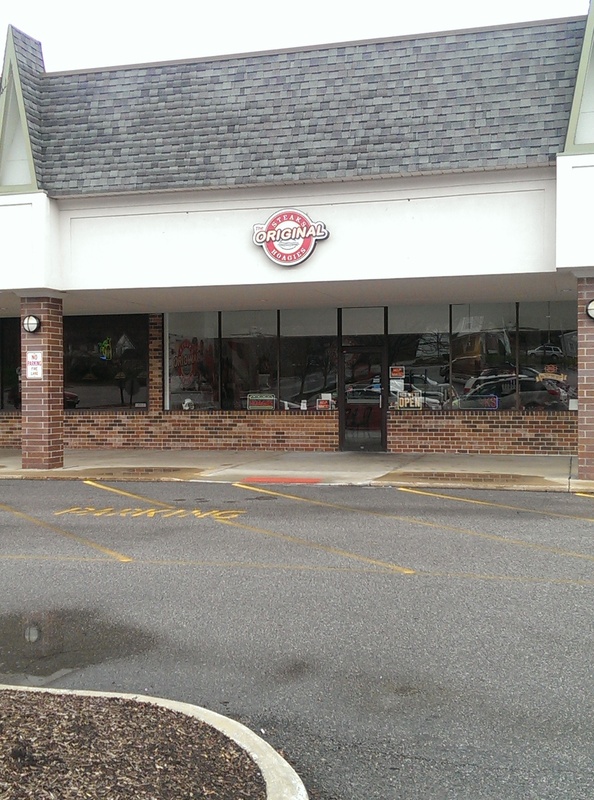 Those craving an authentic Philly cheesesteak need look no further than this locally owned restaurant in a strip mall on Ravenna Road in Twinsburg. It is located next to El Campesino’s. The owners used to managed several steak shops in Philly, so they know what they are doing. I have never been to Philly but some of my friends who have told me this place is better than Philly. They ship 7- and 10-inch Amoroso rolls in from Philly, and you can hear the meat being chopped with a metal spatula as you wait. It is a bit of a wait, so don’t go here if you are in a hurry and they are busy. These sandwiches are prepared fresh after you order them. They are so worth the wait. 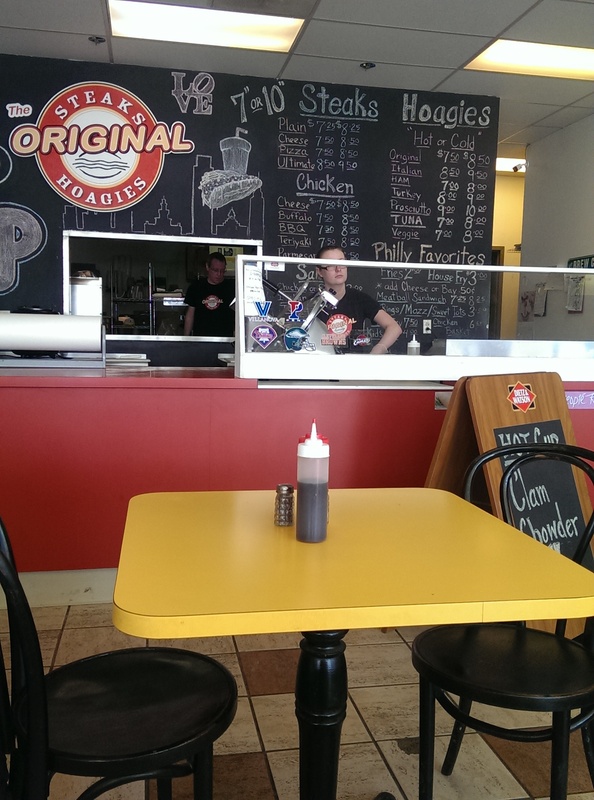 I first learned about Original Steaks and Hoagies from Tom at Exploring Food My Way. His blog post definitely intrigued me enough to go check them out. He still stops there when he gets a craving. We apparently missed each other the other day by a half hour, even though we both live about 40 minutes away from Twinsburg. 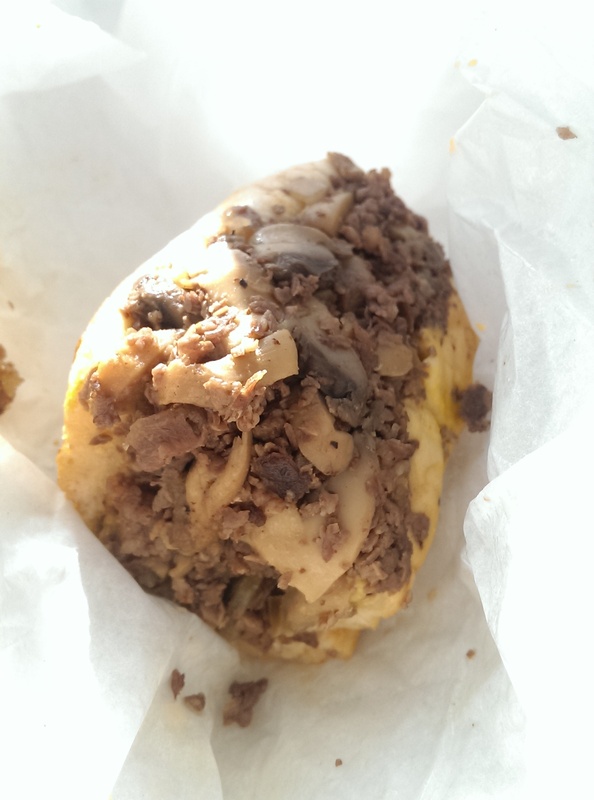 The first time I went I ordered a Cheesesteak Whiz Wit (cheesesteak with Cheez Whiz and onions) and added mushrooms. They use thinly shaved rib eye for their steak and don’t skimp on the meat. The meat is also really juicy. The steak and onions were diced up very fine, the creamy Cheez Whiz held it all together, and the bun was soft yet did a nice job soaking up the grease and juice and not falling apart. 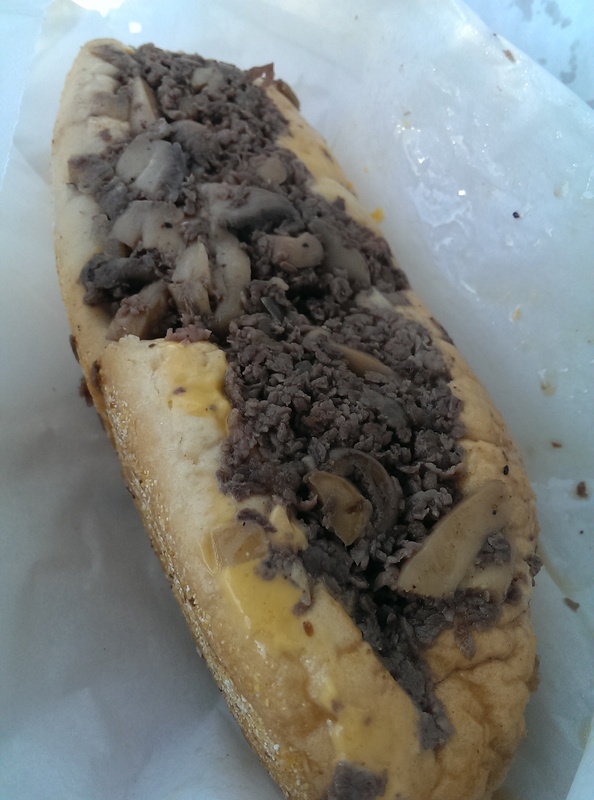 This is not on the diet, but it is a nice indulgence when you are craving a cheesesteak. This small cheesesteak was $7.50 and was very filling. Their Ultimate Philly Cheesesteak chops up salami into the meat and comes served with lettuce and tomato. Experiment and see what you like best. 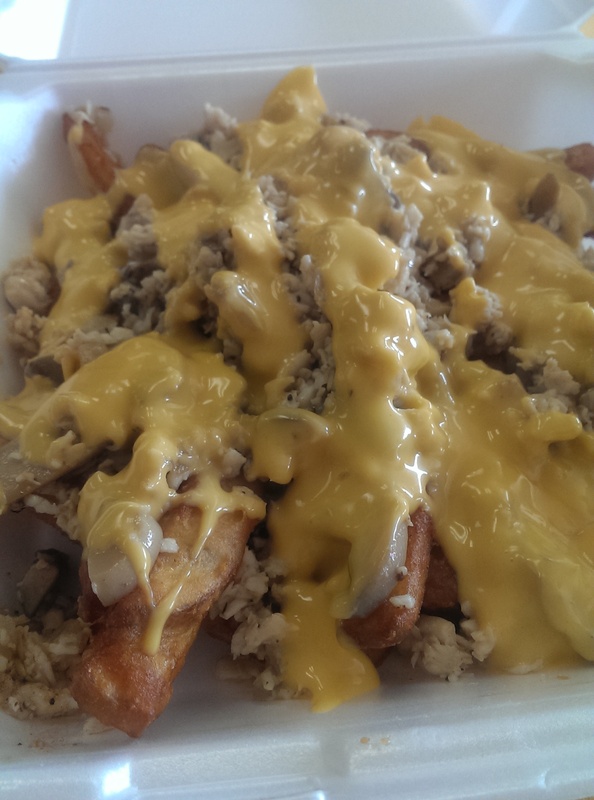 The Old Bay fries ($2.50) are seasoned well and a nice accompaniment to the cheesesteak. While you are at it you might as well also order a side of cheese sauce to dip them in. Go big or go home, right? I’ve also heard great things about the sweet potato tots. You can order soda in bottles, cans or from the soda fountain. The soda fountain serves lemonade, Half and Half featuring lemonade from Alex’s Lemonade Stand as well as birch beer. The second time I went I ordered the Chicken Philly Fry. I was thrown for a second because it wasn’t in a bun. It is chopped 100% breast meat and cheese over their French fries. It was absolutely delicious. I had only intended to eat half and ate the whole thing. This is a great choice for anyone who is gluten-free. The chicken was juicy, and I ordered the provolone, which melted really well over the fries. The fries were well cooked and had a nice crisp outer skin while being soft creamy inside. If you want to be adventurous order the sweet potato fries or add Old Bay seasoning to them. The photo to the left shows the Chicken Philly Fry with Cheez Whiz. I definitely prefer it with the provolone. 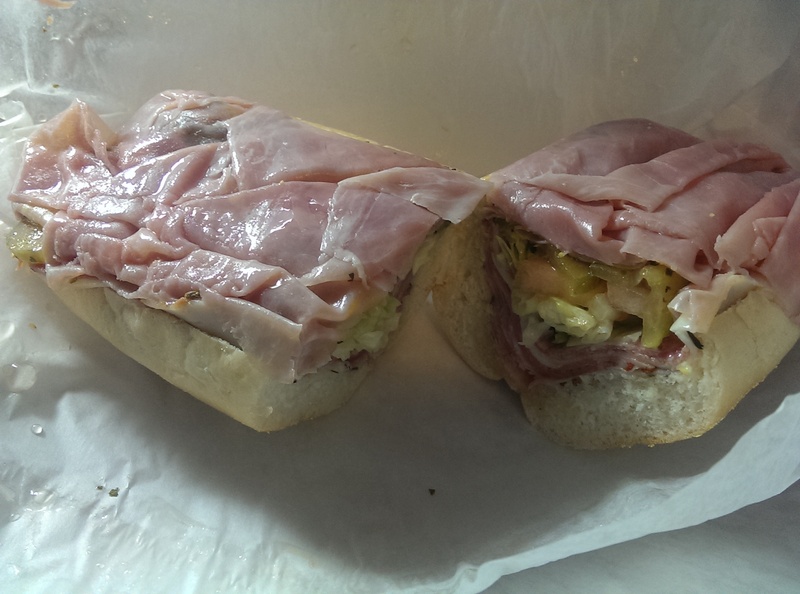 Having grown up on hoagies in grade and high school I also had to order a hoagie. I went with the Original Hoagie and when asked what I wanted on it I agreed to everything except the sweet and hot peppers (not a fan). The small Original Hoagie came with meat, cheese, lettuce, tomato, onion and pickles, an oil blend and oregano for $7.50. I had gotten it to go to eat later that day and the oil had soaked through the wrapping paper and into the brown paper to go bag. 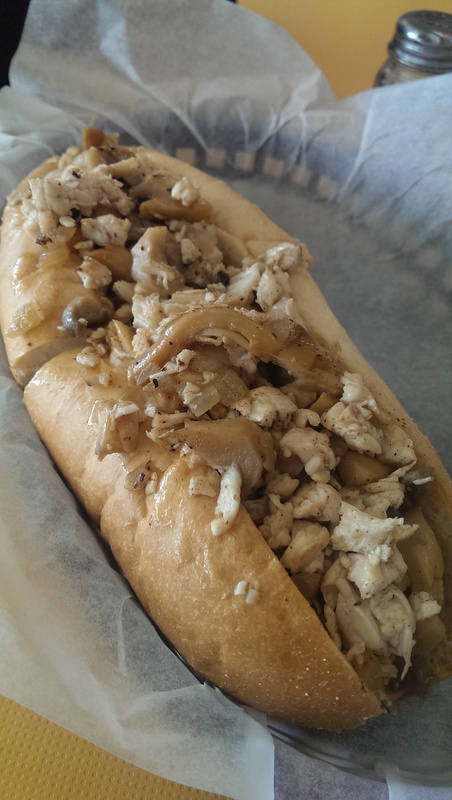 The meats and toppings are stuffed in the same Amoroso roll that the cheesesteaks come in. I didn’t love it. It was a decent hoagie, but the oregano really overpowered everything. The meat and veggies were all really fresh, and the veggies added a nice crunch. I think if I were to get one again I would ask them for no oregano. Oregano and oil do not Italian dressing make. Unfortunately I wasn’t able to try the coleslaw because they were out of it when I was in the mood for it, but I’ve heard good things about it. The sweet potato tots also look pretty delicious. They also offer Tasty Kakes and Herr’s Chips for connoisseurs. Step 1…Specify plain (no cheese), Cheez Whiz, Provolone cheese or American cheese. Step 2…Specify if you want steak with (wit) or without (wit out) onions. Step 4…Practice all of the above while waiting in line.